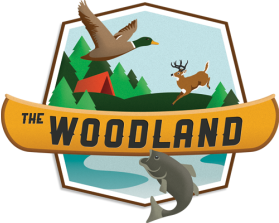 The Woodland offers 35 campsites within 10 acres of wooded grounds in a family friendly environment. All campsites have electrical and water hookups. Currently 21 sites offer septic hookup. Rustic, non-electric campsites are also available if requested. Seasonal and Non-seasonal sites are available. * Campground registration needs to occur at The Woodland store. Please stop in at store prior to occupying any campsite. Thank-you.